When thinking about what they will sleep in at night most climbers zero in on their sleeping bag. However, it's important to think of your bag and pad as a "sleep system" that works together to keep you warm and comfortable throughout the night. As with your sleeping bag, a number of adjustments to the pads you use can lighten your weight on the trail and increase your comfort at night. For long, cold trips like Denali comfort and warmth are key--and worth a few sacrifices in terms of weight. For Denali I will therefore use a foam pad on the snow and then an inflatable pad like the Thermarest Neoair XTherm above that. This system works well because the inflatable pad provides warmth and the foam pad blocks the upper pad from the cold snow so that it can work its magic. For shorter trips, I've ditched foam pads altogether because they're too bulky. For trips where I anticipate it getting below freezing at night, I will bring my full-length Neoair. To provide a barrier between the sleeping pad and the snow, I will remove the foam liner from my Cilogear backpack and put the rest of the backpack at my head and the foam at my feet. Obviously, a backpack like a Cilogear or Cold Cold World model with the removable foam in the back is necessary for this technique. Sometimes I will also bring the rope into my tent and flake it out and put that between the snow and my pad. For trips where it is above freezing, I will do the same thing but use a 3/4-length Neoair XLite instead of the full-length to save on weight. Any time you are using the inflatable pads, you will want some sort of barrier between the pad and the ground. 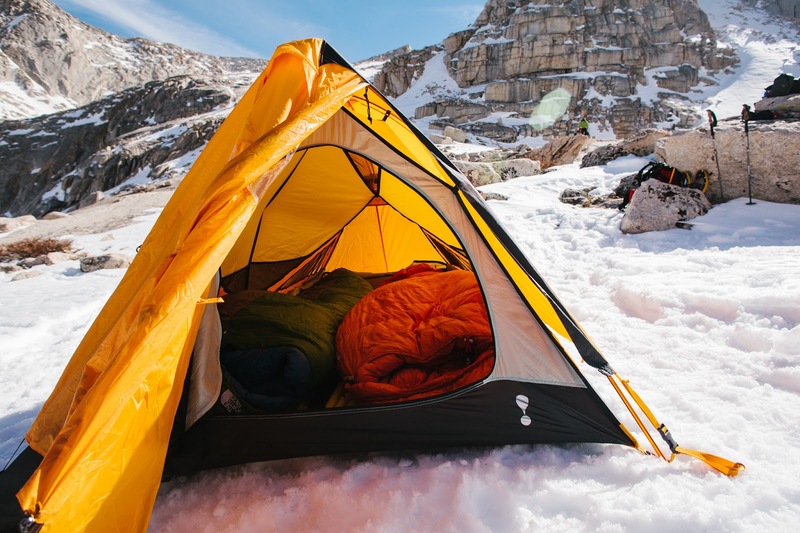 If you're camping on snow you want something that provides insulation, and if you're on rocks or dirt you will need just a tent footprint or Tyvek sheet so that your Neoair doesn't rub up against rocks and get punctured.